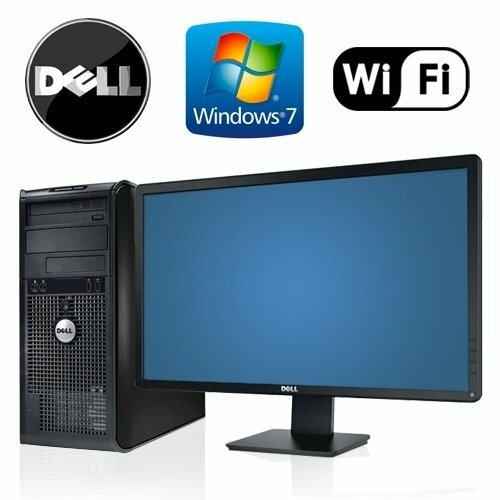 This Refurbished Dell Optiplex 755 Tower Model with a Newly installed Windows 7 Pro 64-Bit on a NEW 1TB Hard Drive with 2 Year Warranty. Computer comes with a High Speed 3.0 Core 2 Duo processor, stacked with 8GB DDR2 Memory with WiFi included and a DVDROM optical drive. The Dell 755 provides a stable, configurable solution with the basic manageability and processor performance to suit the needs of growing businesses or for home premium use. With this platform, Dell is raising the bar beyond the entry-level category with Intel Core 2 Duo processors and Express chipset. In addition, NIC (network interface card) can deliver the networking capabilities that a growing business needs! Software Installed - NEW Windows 7 Professional 64-BIT & Buy from a Microsoft Registered Refurbisher and know all software is Genuine!! If you have any questions about this product by ReCircuit, contact us by completing and submitting the form below. If you are looking for a specif part number, please include it with your message.